Whanganui rock band Kessel (WHS old boys) will be joined by Pull Down the Sun and The Mean Owls to raise funds for Chronicle Records. When the Chronicle Records studio was broken into late last year it was a major blow for Whanganui musicians. Expensive microphones were stolen and equipment damaged or ruined. The losses mean that local musicians will be unable to record until things are repaired or replaced. 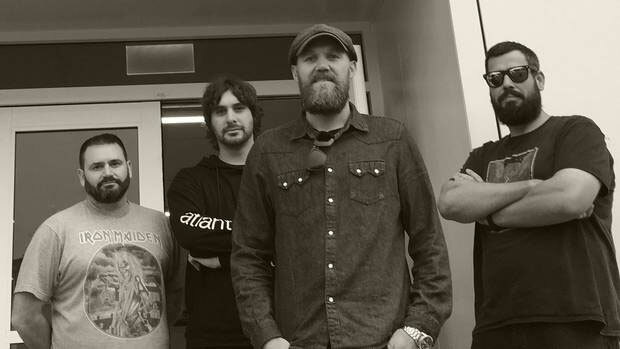 Whanganui rock band Kessel had recently recorded at the studio and vocalist Jason Lane wanted to help the studio by organising a fundraiser. "The break-in is not only setting the studio back but the Whanganui muso community as a whole. "We've decided to spearhead a bit of a fundraiser for the great team at Chronicle to recoup some of what can never really be replaced." Lucky Bar + Kitchen has agreed to host the fundraiser at its Wilson St venue tonight. "We are suggesting a $10 door charge but we're hoping that people will just give a koha of whatever they can afford for a good cause," says owner Georgie Ormond. Ormond, her partner Matt Edmonds and Dave Muso will debut their band The Mean Owls playing half a dozen originals and local band Pull Down the Sun will join the show, playing their "groove-heavy music shaped and inspired by the curious history and scenic nature of Aotearoa." "It should be a good night and we hope it will make a decent contribution towards helping Chronicle Records get back to full capability."